Pakistan’s youngest eSports star was crowned Dota 2 champion at the tender age of 16. 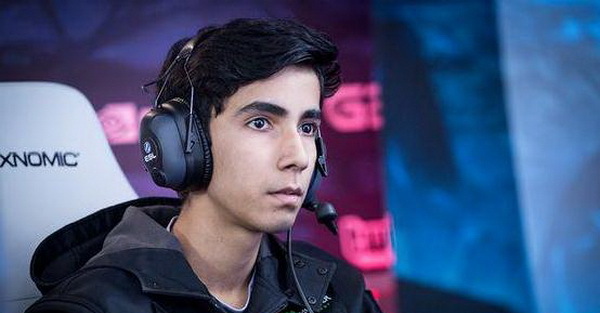 Sumail “Suma1L” Hassan Syed is believed to be one of the youngest millionaires in Pakistan. Sumail has quickly climbed up the Dota 2 competitive scene ladder, helping team Evil Geniuses win this year’s Dota Asia Championships and bag $1.2 million. He was just 15 years old at the time. The prodigy has continued his great run, and was part of the Evil Geniuses crew who took out the title of global champion at Dota 2: The International 2015. The title also bought his team a stack of loot: $6.63 million. Having two major Dota 2 tournament wins under his belt, Sumail is estimated to have pocketed a whopping $1.6 million dollars in his first year as a professional Dota 2 player. At The International 2015, Evil Geniuses was tasked with the Herculean task of defeating fan-favourites CDEC – an all-Chinese team which entered the tournament as a wild card and reached the finals after winning against the tournament favorites, LGD. Evil Geniuses and Sumail ended the run of CGD in the finals, defeating them 3-1.